Get more information about Tranz-Mission Festival 2019 including festival tickets, news, reviews and lineups. Rapidly becoming one of East London’s most talked about MC’s Bruza has quickly barged his way into the UK’s underground A-list, which can be part attributed to his raw cockney rhyme style. 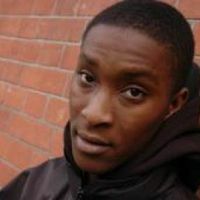 Learning his mic skills within the drum & bass and jungle scene as a member of Reckless Crew and on influential pirate Rinse FM, Bruza hooked up with Terror Danjah and Flash who’d just started new label, Aftershock. Below is a sample playlists for Bruza taken from spotify. Do you promote/manage Bruza? Login to our free Promotion Centre to update these details.